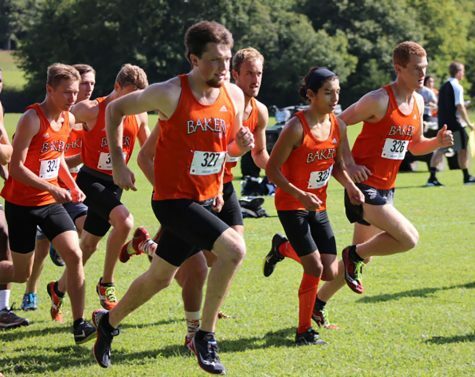 The men’s and women’s cross country teams opened their 2015 seasons at the Baldwin City Golf Course for the annual Maple Leaf Invitational. Both teams finished in the middle of the pack with the men winding up in third and the women in fourth place. Sophomore Rosie Hollis was the individual champion in the women’s 4K race at 15:40. Hollis’ time dropped two seconds from last season but she was still fast enough to beat the next closest runner, which happened to be Megan Rosa from the Baker alumni team. Hollis’ average mile was 6 minutes and 18 seconds. 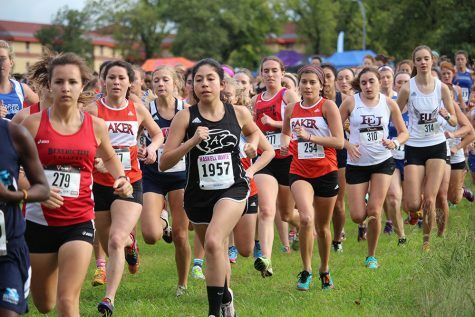 Following behind Hollis in the top 20 for Baker were freshmen Jenna Black and Madison Dispensa. Black finished 13th at 16:49, while Dispensa took 19th with a time of 17:06. The women had six other runners in the 56 total. 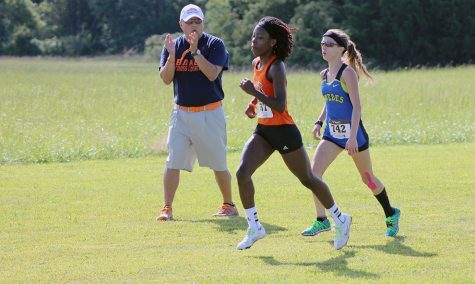 Sophomore Brenda McCollum was 24th at 17:22, and junior Shelby Stephens was four seconds behind in 27th. Fellow sophomores Caitlin Apollo, Rachel Campbell and Ziara McDowell finished 38th, 39th and 41st, respectively. Junior Amanda Moody was the final runner for Baker in 56th. Three-time Heart champion at Baker Lauren Jaqua also competed and finished her race in 17:19. 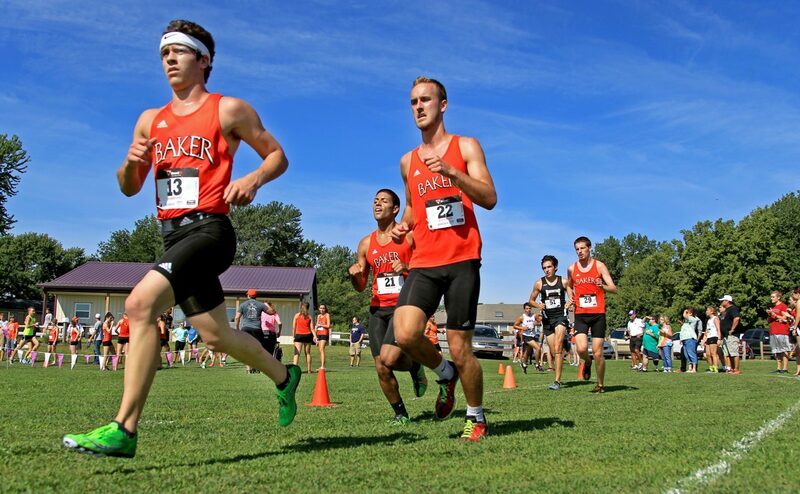 On the men’s side, junior Corey Matteson ran Baker’s fastest time. 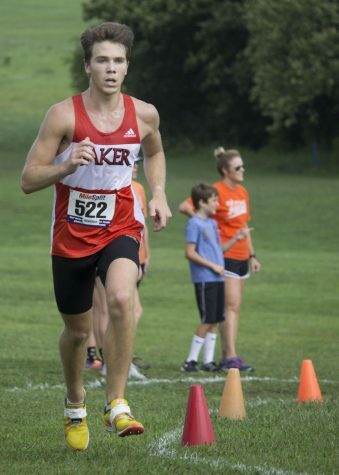 Mattseon finished the 5K in seventh with a time of 16:55. Junior Jamie Steury was just outside the top 10 in 12th with his time of 17:19. Sophomore Joe Linder was just six seconds behind Steury in 16th. Junior Andrew Dare and senior Gunnar Hays sandwiched the 20th spot. Dare finished 19th at 17:36 and Hays at 21st, just six seconds behind Dare. Three freshmen all finished in the 30s with Daniel Rivera at 34th, Stephen Deveau at 37th and Cole Stallard 38th. After sweeping victories in this race one year ago both teams missed the runners that won this race last year. 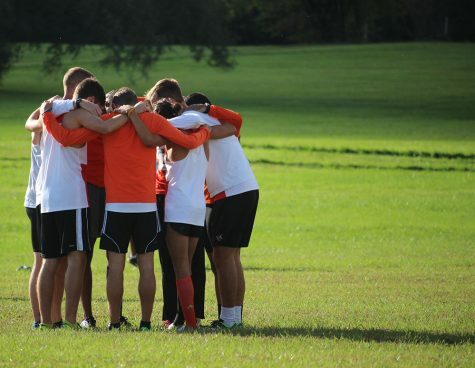 Last season Eddie Esquivel won the individual race on the men’s side last year. His time from last year would have won this year’s race by 28 seconds. The women were also missing out on last season’s Maple Leaf Invitational individual champion in Jillian Benson. Benson ran her 4K at this event last season in 15:28, which was 12 seconds faster than Hollis’ run. 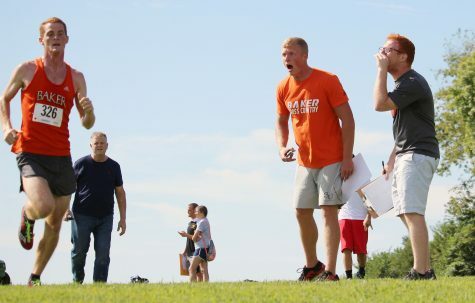 Both teams next run Sept. 19 at the Southern Stampede hosted by Missouri Southern State University in Joplin, Missouri.